Norwegian company Statoil is building the world’s largest offshore floating wind farm near Scotland – and it’s set to start producing energy as early as 2017. The Hywind Scotland Pilot Park wind farm will feature five turbines generating six megawatts of power each. Offshore wind is big in Northern Europe and the UK, with over 90 percent of global total offshore wind built in that region. Yet Japan, China, Germany, and the United States are beginning to enter the race. There are over 40 projects all across the world currently being built or designed. Norwegian company Statoil is building the world's largest offshore wind farm near Scotland - and it's set to start producing energy as early as 2017. The Hywind Scotland Pilot Park wind farm will feature five turbines generating six megawatts of power each. 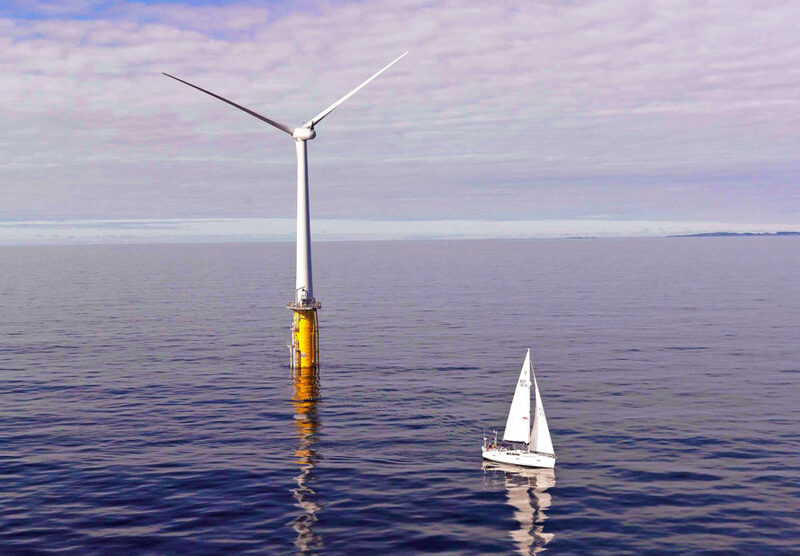 Statoil has pioneered Hywind turbine technology - a different way to construct wind turbines so they're sturdy even in stormy ocean conditions.